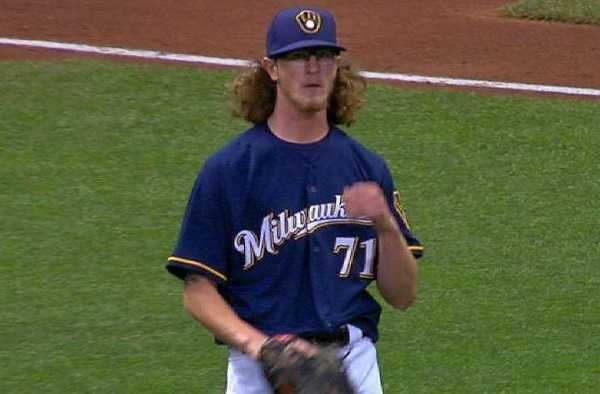 Josh Ronald Hader, professionally known as Josh Hader is an American professional baseball pitcher for the Milwaukee Brewers of Major League Baseball (MLB). In the year 2017, he made his MLB debut. Hader has represented America in the Pan American Games in 2015. He was traded twice before joining the Brewers in 2015. Racist, homophobic and sexist content on his Twitter account during mid-2011 to late-2012, discovered later in 2018. 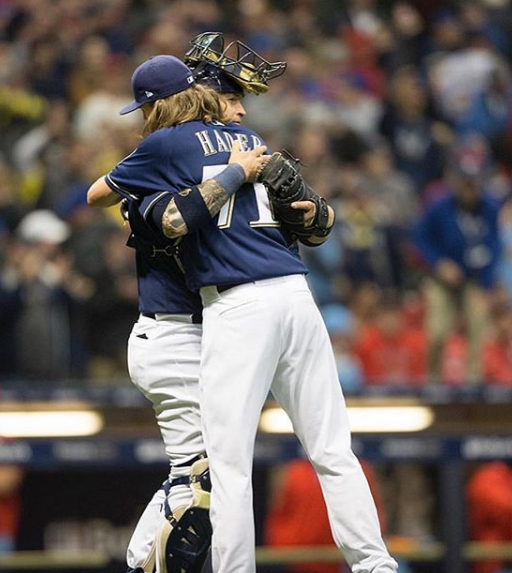 Pitcher for the Milwaukee Brewers, Josh Hader was on fire in National League Championship Series Game 1 against Los Angeles Dodgers at Miller Park. Josh Hader has become arguably the most feared reliever in Major League Baseball. Brewers achieved 6-5 victory when Hader pitched three clean innings with a season-high 46 pitches. And Hader wasn't even the first reliever for the bullpen. Brandon Woodruff was given the first reliever responsibility. Hader entered when Milwaukee was leading with four-run. Hader allowed just two hits while striking out four during his appearance. Manager Craig Counsell has already stated that Hader will be rested for Game 2 on Saturday, but will surely be available for Game 3 on Monday. Previously, Hader was criticized publicly for his tweets. During the 2018 MLB All-Star game, a series of tweets containing racist, homophobic and sexist content by Hader ranging from mid-2011 to late-2012 were discovered. The 24-years old was dragged into controversy and was criticized very badly. Due to controversy, friends and family of Hader that were invited to the game had to wear blank jerseys. Hader officially issued an apology and even went on to delete his account on Twitter. Where did Josh Hader come from? The 24-years old Hader was born to Tom Hader and Patricia Hader on 7th April 1994 in Millersville, Maryland, United States. His nationality is American and his horoscope is Taurus. He worships the Christianity religion. His ethnicity is White. He attended Old Mill High School in Millersville, Maryland. Hader used to play baseball for the school baseball team. Hader was preparing to enroll at Anne Arundel Community College after graduating from high school, He was selected by the Baltimore Orioles in the 19th round of the 2012 Major League Baseball (MLB) Draft with the 582nd overall selection and signed for $40,000. He played for the Gulf Coast Orioles in the Rookie-level Gulf Coast League and the Aberdeen Ironbirds of the Class A-Short Season New York-Penn League. He also appeared in the SAL All-Star Game, and through July 31, pitched to a 3-6 record with 79 strikeouts and a 2.65 ERA in 17 games started. The Orioles traded Hader along with L. J. Hoes to the Houston Astros in exchange for Bud Norris on the day of the MLB deadline, 31st July 2013. He completed his 2013 season with the Quad Cities River Bandits of the Class A Midwest League. In August, the Astros promoted Hader to the Corpus Christi Hooks of the Class AA Texas League. 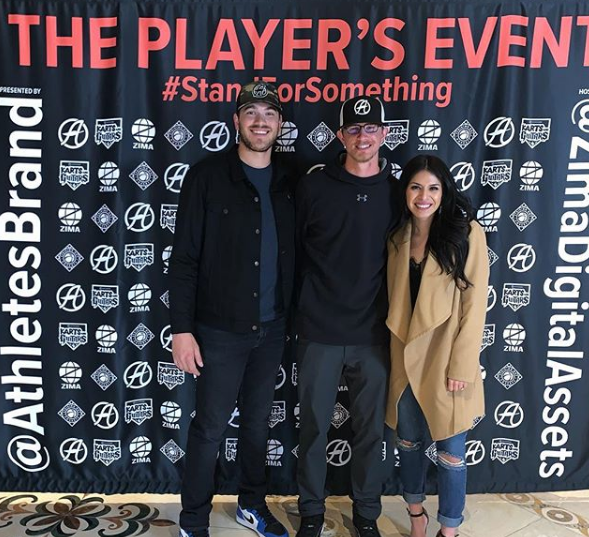 Following his performance, he was named the California League Pitcher of the Year. In 2015, Hader was selected to play for the United States national baseball team in the 2015 Pan American Games. Hader joined Biloxi Shuckers on July 30, 2015. Hader began his 2016 season for Biloxi and made his first start for the Colorado Springs Sky Sox of the Class AAA Pacific Coast League on June 12. Hader was also selected to appear in the All-Star Futures Game, 2016. Hader began his 2017 season with Colorado Springs. Hader was promoted to the major leagues in June 2017 and made his major league debut on June 9. Hader began 2018 season in the Milwaukee bullpen and he became the first pitcher ever to record 8 strikeouts in an outing that was less than 3 innings long. Hader was selected for the 2018 MLB All-Star Game. He appeared in the 2018 All-Star Game at the top of the eighth inning. 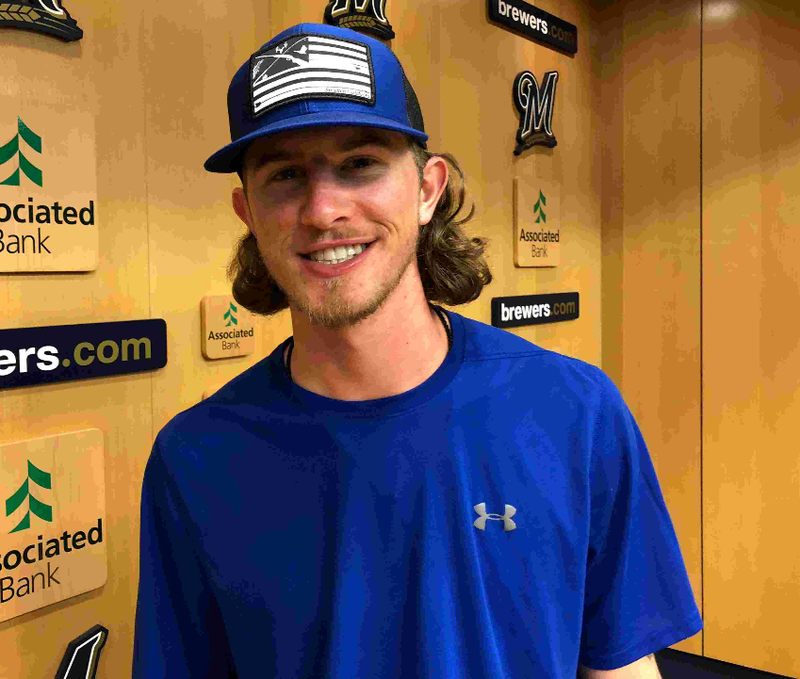 How tall is Josh Hader? Hader has a height of 191 cm and he has a balanced weight of 84 Kg. The 6 feet 3 inches tall Hader has a chest size of 41 inches, a waist size of 30 inches, and hip size of 35 inches. The hair color of Josh is Blonde and his eye color is Blue. Josh is not married yet. Hader is currently dating Maria Macias. She works in marketing for the Houston Astros' Double A-Team. 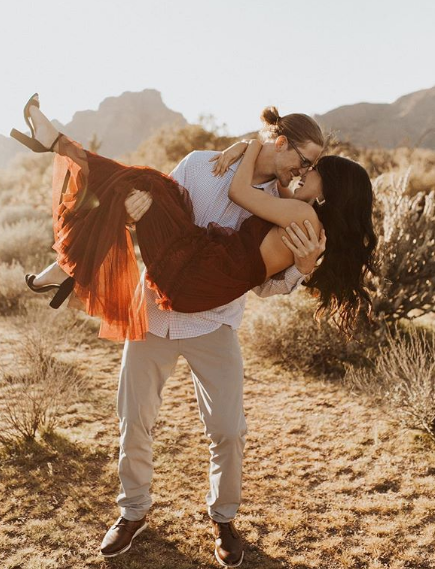 The couple met in 2013 after Hader sent a direct message to Maria Macias on Twitter. What is Josh Hader salary? The net worth of Josh is $556,000. He is satisfied with his earning. Hader earned a signing bonus of $40,000 when he first joined The Baltimore Orioles. He post a racist status on his Twitter official account in the year 2011 and later apologize for status.